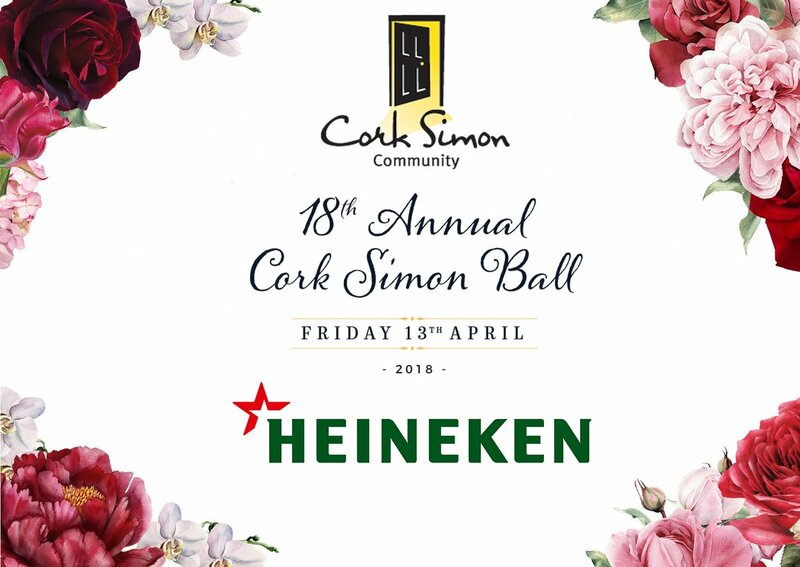 The 18th Cork Simon Annual Fundraising Ball takes place on Friday, 13th April, at Fota Island Resort and will be attended by over 300 corporate guests and Irish business leaders. Tickets for the event sold out shortly upon releases with all proceeds will go to support the Cork Simon Community in their bid to tackle homelessness in Cork City. Master of Ceremonies will be well-known solicitor Gerald Kean with main sponsors Heineken Ireland and Rearden’s. It is hoped that as much as €90,000 will be raised by the ball which will go directly to the Cork Simon Community which supports men and women affected by homelessness in Cork. “More people than ever before are turning to us for help. “We’re able to offer them the lifeline they need thanks to the concern and support of thousands of people here in Cork and beyond. “The business community has always been very much part of that, sharing and supporting our belief that everyone should have a place to call home.